Bitcoin’s “genesis block”—the digital token’s very first set of transactions—was mined nine years ago today. The reward for the block computation is listed at 50 BTC, which at today’s price is worth roughly $670,000. First adopted by techno-libertarians with the intention of building a trustless payment system that skirted the regulatory control of governments, the very definition of what a bitcoin is remains open for debate. Whether it’s a “store of value” similar to gold, an alternative digital cash, a security, or something else entirely depends largely on who you’re asking and what they might be trying to sell you. For most of Bitcoin’s nine years, it was viewed as either almost completely worthless—famously in 2010, 10,000 bitcoins were once traded in exchange for two pizzas—or as a more secure means to purchase illicit substances or services through shadowy online marketplaces like the Silk Road, Hansa, or Alphabay—all of which have since been shut down. 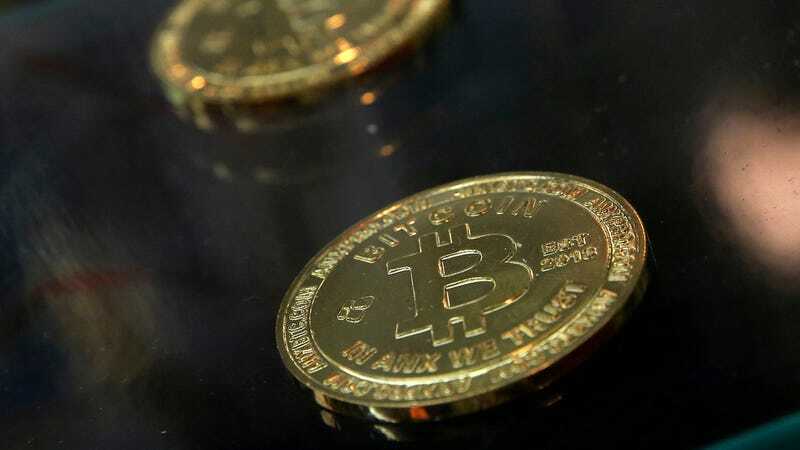 Venture capitalists and media hype may have helped push Bitcoin to an untenable high last year, at nearly $20,000 per coin. But constant internal fighting over the future of the most valuable digital token as well as traditional financial institutions beginning to flex some regulatory muscle, Bitcoin’s position has been in free fall since mid-December. Though far off, some of Bitcoin’s competitors like Bitcoin Cash and Ethereum are closing the gap quickly amid the current rush to maximize profits without becoming the greater fool. Nine years in and no one could have predicted what Bitcoin would become, though many tried and were proven wrong. This may well be laughable in a few years too. But the legacy of Bitcoin in its current state is of putting complicated technology and financial machinery in the hands of countless people who don’t understand it, many of whom will lose a great deal of real money. Whether that qualifies as achieving Bitcoin’s intended goals we may never know: Bitcoin’s illusive founder disappeared years ago without a trace.